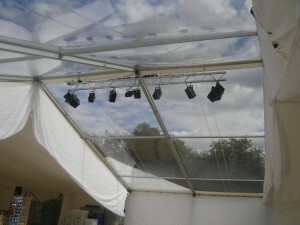 To erect the marquee itself we only require access to a standard 13 amp supply for our equipment. Your caterer, band, DJ and bar may want extra power. We are happy to supply generators and distribution boards if required, or you can provide your own power.